This Moravian Yeast Roll Recipe is easy, even if you’ve never worked with yeast before. The dough requires no kneading and just one rise. The resulting rolls are soft and pillowy! This is the delicious yeast roll I make for all our special holidays. I love this Moravian Yeast Roll Recipe. Hot and fresh from the oven. Split ’em in half. Let the butter melt in between. 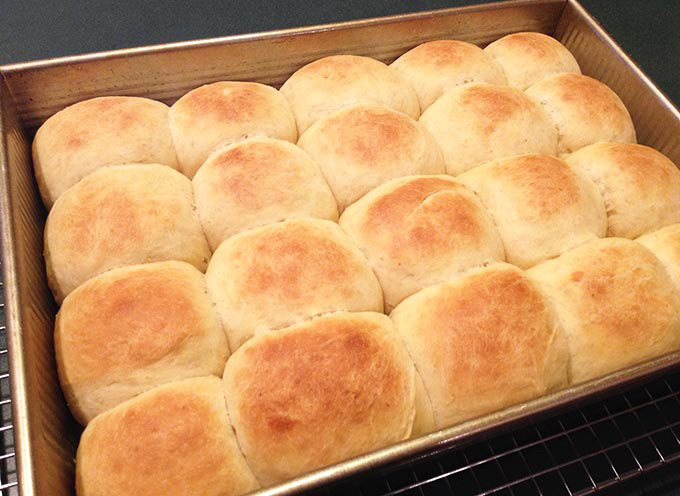 Mmm… these yeast rolls are divine. There’s no kneading involved in this simple recipe, great for those who haven’t worked with yeast before. Use a Kitchen Aid stand mixer to easily combine the ingredients. Use kitchen shears or a sharp knife to cut the dough into 16 equal portions. 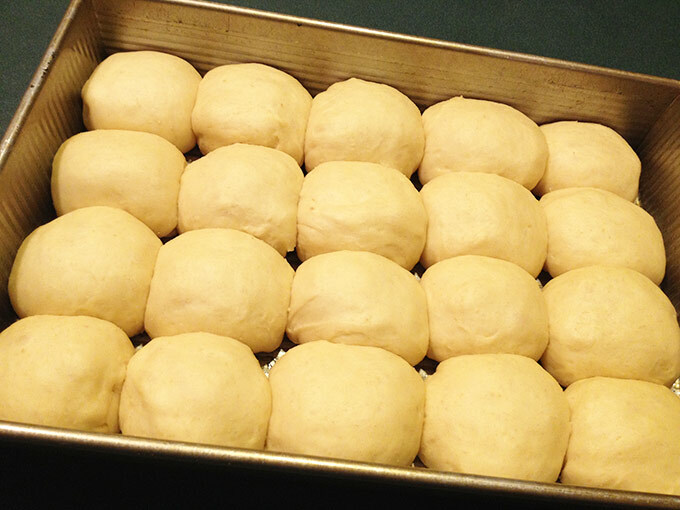 Loosely shape into rolls and place in a greased 9 X 13″ baking pan. Let rise in a warm place for 1-2 hours until nearly doubled in size. I place them in a barely warm (not hot) oven to cut the rising time in half. Lightly brush with melted butter just before baking. Bake for ten minutes in a 400° oven or ’til golden brown. Mmmm….I can almost smell them now! A little history on the Moravians. They were followers of a mainstream protestant religion that eventually settled in Winston-Salem, North Carolina nearly 250 years ago. The Moravians originated in the Czech Republic around 1415 from the followers of Jan Hus. They made their way as missionaries from Germany to Pennsylvania, then settled in Winston-Salem on 10,000 acres of land known as the Wachovia Tract. They contributed significantly to the area’s rich culture, including excellent food like these Moravian Yeast Rolls! 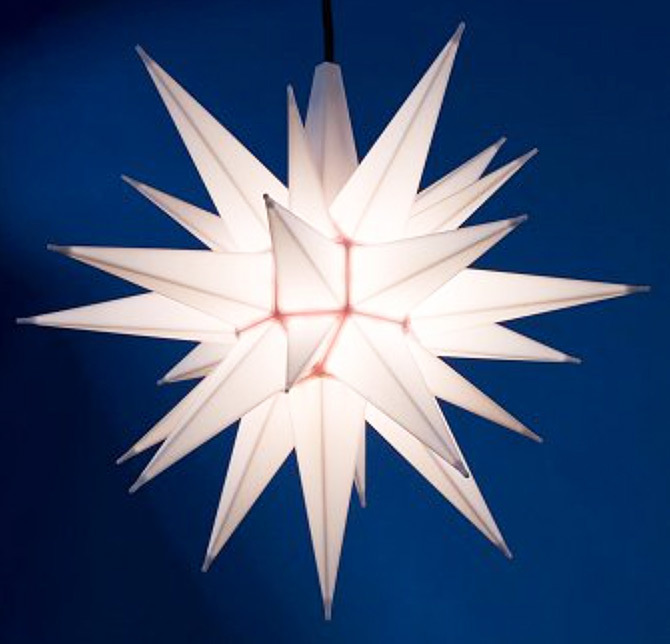 Moravians are known for the Moravian star, which originally started out as a geometry lesson in the 1800’s, and morphed into an Advent lesson later. Love these soft pillowy Moravian Yeast Rolls, hot and fresh from the oven. Split 'em in half, melt butter in between. These easy yeast rolls are divine. Combine hot water, salt, shortening and sugar. Separately, dissolve yeast in 2 tablespoons warm water. Allow shortening mixture to cool to lukewarm. Add in dissolved yeast mixture. Using a stand mixer, combine the above with beaten egg and enough flour to make a soft dough. Start by adding 3 cups flour, continue adding more flour if still sticky, up to 4 cups. Cover and refrigerate dough several hours or overnight. Briefly knead dough by turning it over onto itself several times to smooth it out. Divide into sixteen equal portions using kitchen shears or a sharp knife. 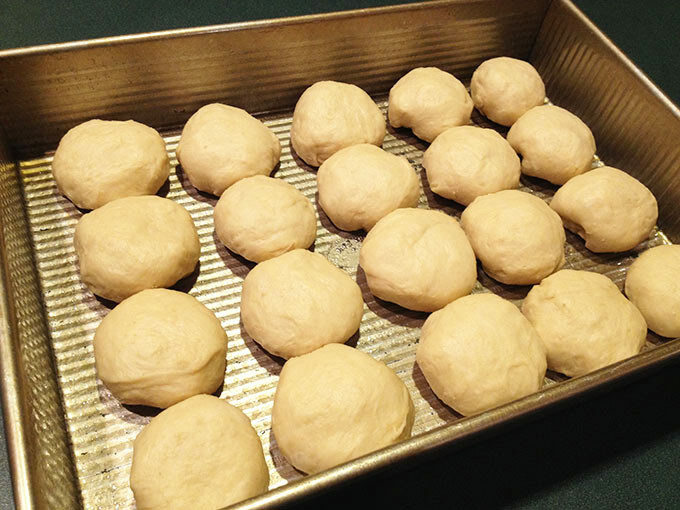 Shape into 16 round dough balls and place evenly spaced in greased 9 X 13" baking pan. Let rise 1-2 hours or until almost doubled in bulk. 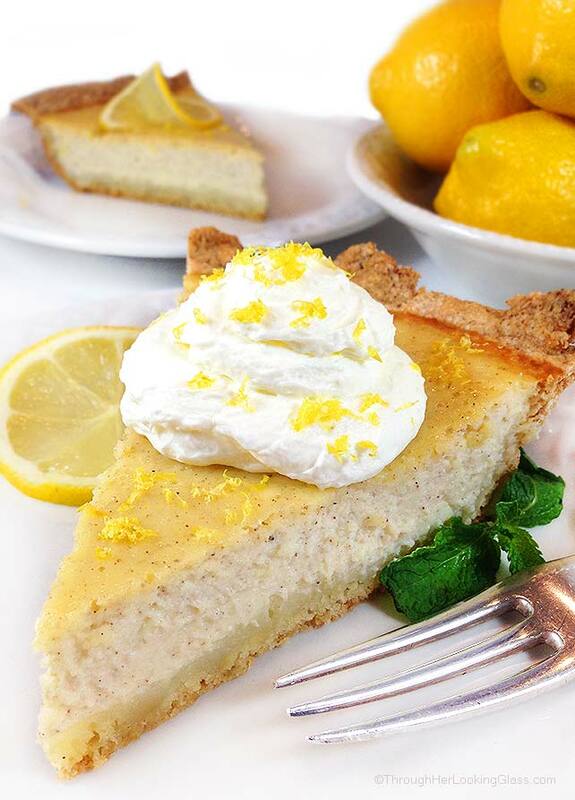 Gently brush with 2 tablespoons melted butter just before baking. Bake in a 400 degree oven ten minutes or 'til lightly browned. I am already making your Apple Puff for dessert for Easter for 11...may add these rolls to the menu, although I am not a fan of anything with yeast but may give it a try. Thanks and Happy Easter..HE IS RISEN, HE IS RISEN INDEED! 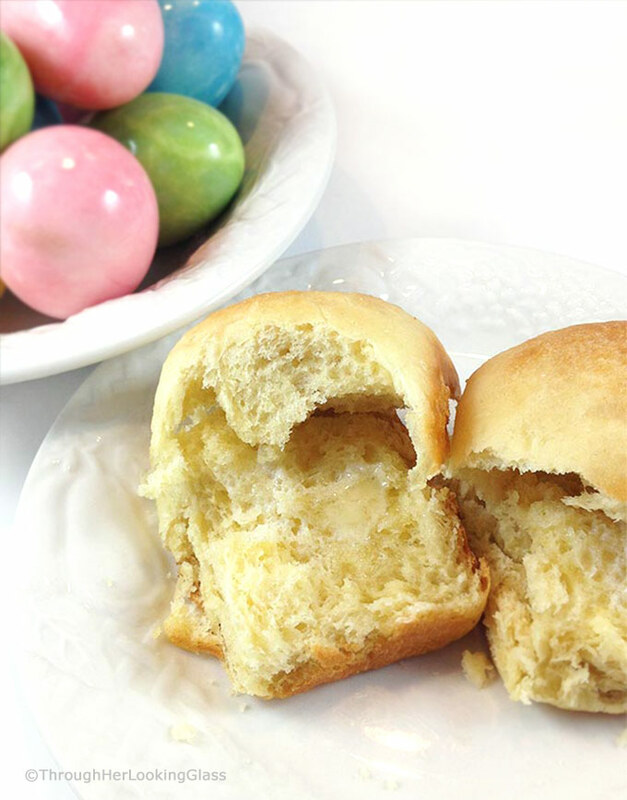 These rolls are now on my menu for Easter! They sound delicious! If you posted them I know they are great. I am never disappointed by your recipes. In fact they are always a hit! Thank you Allie!!! Oh, thank you Tracy, so kind. Hope you all love them! I've never heard of these rolls before. My family would love them. Now to figure out how I can fit making them into my schedule today. They would be perfect with dinner tonight. Hope you and your family enjoy them Christie! Oh, my-they look fantastic! 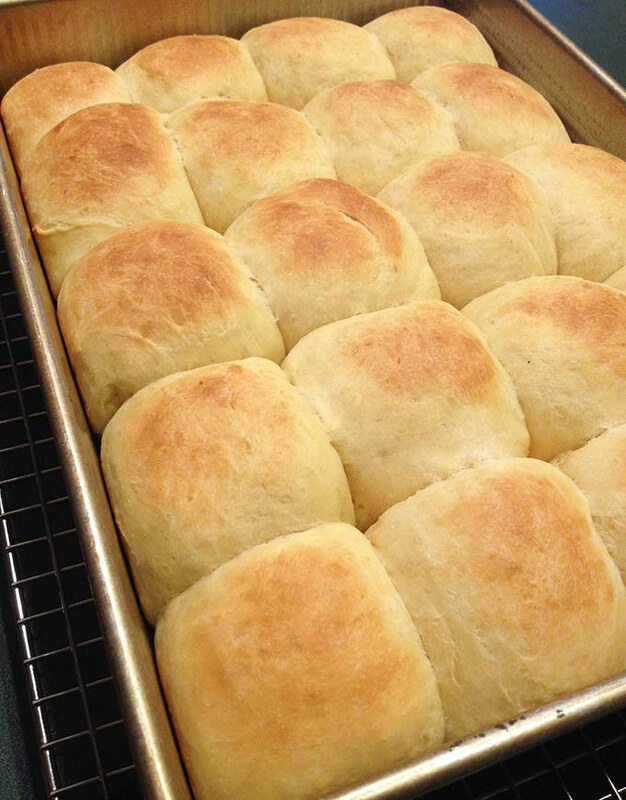 There is nothing like a yeast roll! Cannot wait to make 'em! Thanks, Allie. Will tell Catherine about them as she is bringing the rolls! They look beautiful! What makes them Moravian? Oh man these rolls look so delicious! I need to make them sometime soon! I can just smell these by looking at the pictures! I will definately have to give them a try! Allie, these look so amazing - light and fluffy! I love yeast recipes that are low maintenance, and these seem to fit the bill exactly! YUM! I agree with Sheryl...definitely doable! What kind of yeast is best- active or rapid rise? Hi Melanie I use the SAF Red Instant Yeast from King Arthur in this recipe - http://www.kingarthurflour.com/shop/items/saf-red-instant-yeast-16-oz I buy it in the 16 oz. bag and keep it in the freezer. Hope you love these rolls and Happy Thanksgiving! Wondrrful, thank you for such a fast response, and it wss before my Thanksgiving shopping trip so the timing was perfect. Long forward to making these. Happy Thanksgiving! Thank you for sharing your recipes with us. I would love to make these rolls but would rather use butter or coconut hard oil instead of shortening or Butter Chisco. Do you have any suggestions? Is it OK to use butter or coconut white oil instead? Thank you so much. Hi Betty - Sure thing, thanks for dropping by. I'm curious about the coconut oil too. I'm almost absolutely certain I've made these with butter though. I rarely use shortening anymore myself, this is just the original recipe from the Moravians. I pretty much use coconut oil interchangeably for shortening these days, so I'm going to try that with this recipe when I make these for Easter soon. And I'll come back here and comment to let you know. I'll prob. make them ahead and put them in the freezer, so hopefully it will be in time to let you know if you are wanting to make them for Easter too. Have a great weekend! Oh, these look good, I am so much into yeast stuff, I make something every other week or so. 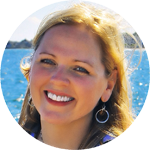 I've never heard of Moravians before, good to learn something new. .
Yum! Gonna try this soon! Thanks! Looks Great!! Have you tried making them with butter instead of shortening--trying to stick with real foods for my own cutie with Down syndrome! Hey Patricia - Thanks, I have and with good results! The original Moravian recipe calls for shortening, but I've used butter. And I'm planning to try these with solid coconut oil to see if that will work too. I'll comment back and let you know, hopefully I'll be baking those this week. We've been under kitchen construction but hoping to be back to normal very soon, in time for Easter. Hope your cutie loves these rolls and so glad you dropped by. How many packets of yeast makes 2 tablespoons? Will definitely try them. How many packets make 2 tablespoons? Hi Yvonne - one packet of yeast contains 2 1/4 teaspoons. Using one packet is fine for this recipe. I use the yeast that I buy from King Arthur Flour Store in Norwich, VT. It comes in a 1 lb. pack and I keep it in the freezer to keep it fresh. I use a tablespoon of yeast in the recipe, but you would be fine using 2 1/4 teaspoons, one packet, if that's how you buy it. I always throw in just a little more, but it doesn't seem to matter much either way. Hope you love these rolls! I missed these rolls when you first shared them, Allie! I simply LOVE no-knead roll and these look so light and fluffy! Also, thanks so much for the info on Moravians - I gotta confess I didn't know much about them before reading your post. Happy Hump Day, sweet friend - FriYAY is coming around the corner!